Certainly, Joseph Smith knew nothing about volcanism. The existence of this storm narrative makes far more sense as a summary written by those who experienced it. The photo above, one of NASA’s Astronomy Pictures of the Day from last week, dramatically illustrates the plausability of that story. 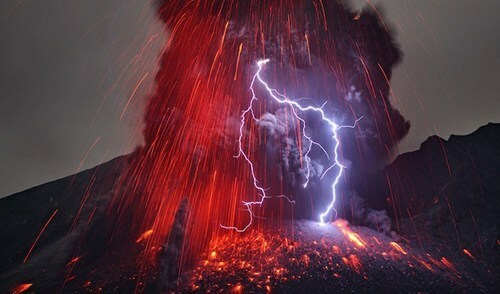 Volcanic eruptions do produce lightning. Pretty cool lightning at that! By now, you’ve probably heard about the Canadian couple who are raising their baby without ever telling anyone what gender it is. This is because they don’t want to shackle the poor little dear with the world’s cruel rules for the different sexes, and definitely not at all because they are weird hippie publicity seekers who are willing to mess with their child’s life just so they can be on the cutting edge of social coolness. Word. I also can’t stand the fact that society chooses to limit women by making them sit down to pee, and have ovaries. Men, of course, are similarly coerced into arbitrary stereotypes, like society’s totally biased and unfair demand that they have a higher rate of prostate cancer than women. I wish we could be more enlightened. Should this Canadian couple have another boy, for example, here are some good, genderless names they might consider: It, Thing, That, You, Hey You, Person (or Persyn), Social Pariah, Unfortunate Victim of Politically Correct Experiment, Psych Ward Patient #6, or (after he turns 18 and makes a quick trip to City Hall’s Department of Records) Joe. Should Storm turn out to be a girl, though, (and accept the fact! ), she could always join the X-Men.